Among other "journey around the wine world" clubs Wine Awesomness stands out for exceptional educational materials. 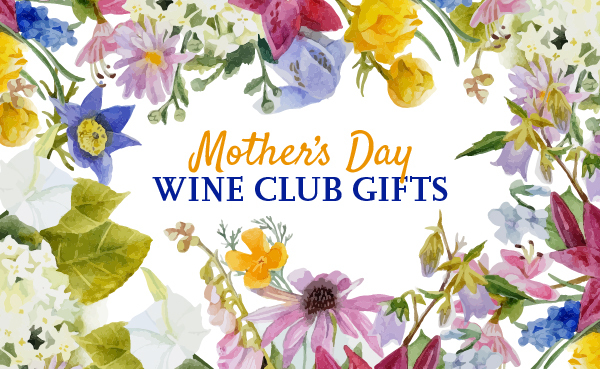 This is a great wine club for you if you're not sure yet if you're a "wine club" person or if you're looking to give a gift to a young wine-lover who's just starting to discover the world of wine. The level of sophistication in both design and writing of their monthly magazine and how the wine isn't expensive but is a very good value. So many people love to give wine subscriptions as gifts, and we think a gift packaging option and customizable gift notifications would add to the subscription gift option. A Wine Awesomeness membership costs $49.00 for 3 bottles of wine. Free shipping plus sales tax where applicable. The price per bottle, with shipping, ranges from $13.17 to $19.67 depending on how you configure your membership. Over the last several years, choices for wine clubs have been multiplying like rabbits. Whether it's because everyone wants in on the subscription box craze or because wine is a high-margin business, the results are the same — as a wine lover you have many more options than you did when we started reviewing wine clubs in 2009 (when there were 5ish wine clubs to choose from). The Wine Awesomeness experience is largely shaped by them trying to offer something different than the rest of the marketplace. And they succeed at being different — in a good way. Aside from having a playful brand, Wine Awesomeness is a self-described "monthly wine journey curated for adventurous souls." Between droolworthy photography and well-written wine editorial in their monthly magazine called "The Back Label," they really do take you on a trip to a new wine region each month — if only voyeuristically, as the membership fees don't include airfare and lodging. Each month you get three or six bottles of wine from a single wine region or of a theme. Our region was "Chile & Argentina" though given the diversity of wine regions availble in South America, this seems oversimplified. However they also offer a host of other themes which you can peruse here. At WineClubReviews.net we take an objective approach to our star ratings system. Our written reviews are very much subjective, based on our 10+ years of wine club review experience and our own ideas about what good wine and good value mean. The star ratings are based on 11 attributes that we feel define what a wine club should be. Here is how Wine Awesomeness Wine Club stacks up on these traits. "The Back Label" is the wine and travel magazine which accompanies each shipment. As far as wine education goes, it's actually pretty awesome. The writing, print-quality, and photography really do take you on a journey to the featured region. Additionally, there is a tune selected for each wine. There isn't much information about how the wines were made, though, so if that's important to you, you might not love it as much as we did. In the era of "always online" and new subscription services setting an expectation around convenience, WineAwesomeness is keeping up with the Jones. Online account management includes skipping (or cancelling or delaying) shipments in addition to changing your shipment frequency and even cancelling the service altogether. Additionally, the customer will receive email notifications that their order has been processed & shipped and smart customers will sign up for UPS MyChoice and FedEx Delivery Manager (free services from the shipping companies) to further monitor shipping and delivery times. Generally we don't have high expectations for wine quality at this price point, especially where free shipping is involved, but we were actually quite impressed with the quality of the wines in our shipment. It would be hard to find wines this good at this price at a local store, or even from another wine club. We've only received one shipment so far, so it's possible we got lucky... we'll keep this review up to date if we find the quality slips somewhere along the way. We believe the greatest benefit of joining a wine club should be preferred pricing—if you're going to commit to monthly shipments, you should get bonus points (i.e. discounts) for being a loyal customer. WineAwesomeness nails this. They do have low prices for the wines they ship, and to prove it, they offer a Low Price Guarantee. This is nice but odds are good you won't find these wines anywhere else to do comparisons. We also like that they don't play what we call "price games." You're getting 3 wines for $45 (likely worth more than that) and shipping is included. You can decide easily if you feel like you received your $15/bottle's worth. In addition to low prices, WineAwesomeness offers other ways to save money on your wine buying habit. You get free shipping on wine reorders (if you can wait until your shipment goes out), you also save 20% on any wine bottle orders of 3 or more, they have an introductory offer (save $10 for the 3-bottle membership and $25 for the 6-bottle membership). And, they send out members-only deals on occasion. Note: This rating is our objective analysis of Wine Awesomeness’s satisfaction guarantee—not our assessment of whether or not you’re guaranteed to be satisfied with their wines. The second core benefit of joining a wine club is a satisfaction guarantee. Wine Awesomeness doesn't exactly sing it from the mountain tops, but if you have a bad bottle, they'll replace it. We found the information scattered acorss multiple FAQ entries. It would be helpful to have a concise policy with all the caveats all in one place, but we're pretty sure Customer Service will take care of any issues you may encounter with a rare bad bottle. These days it's getting harder and harder to define yourself as unique in a crowded marketplace for wine clubs. After all, the idea is to get regular shipments of great wine, how unique can one be? We feel WineAwesomeness is rather unique in the market—"The Back Label" and fun-factor set them apart, as does the quality and price-point of the wine (sometimes referred to as QPR or Quality-to-Price-Ratio). Every month, a team of sommeliers and wine makers work together to come up with a theme that either revolves around a specific region, or and overarching topic (such as food) and they search the globe for six wines (3 red and 3 white) that work well with that monthly theme. Their goal is to help customers discover and explore new wines that they may have never heard of before, but that they will want to drink every day. This is largely the stated goal of every wine club, but that said, we thought they presented three interesting and aggressively-priced wines. There aren't many options for personalization at WineAwesomeness, but all of the necessary basics are there. You can choose red or white or everything, three or six bottles, and monthly or quarterly shipments. You can gift a pre-paid membership (you pay for all of it up front). The most common options are 3 monthly shipments and 4 quarterly shipments, but if you really love someone, send 'em 12 months worth! Their "Year of Wine" will make you the gifting rockstar of their universe. You can gift a one-time box. For those who are more cash-strapped but love the idea of WineAwesomeness, you can ship them one box and they'll love you for it.